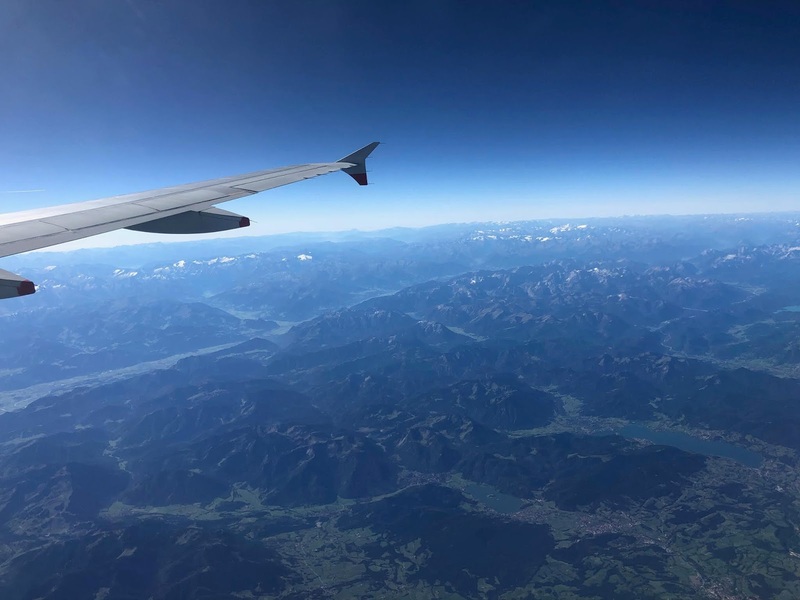 Although I am something of a regular flyer, I still find aerial views to be inspiring, humbling and often quite moving. This was especially true as there was hardly a cloud in the sky between London Heathrow Airport and Franjo Tuđman Airport in Zagreb on Thursday 27th September 2018. Upon arrival I was greeted by a familiar face, that of Krešimir Fabijanić. 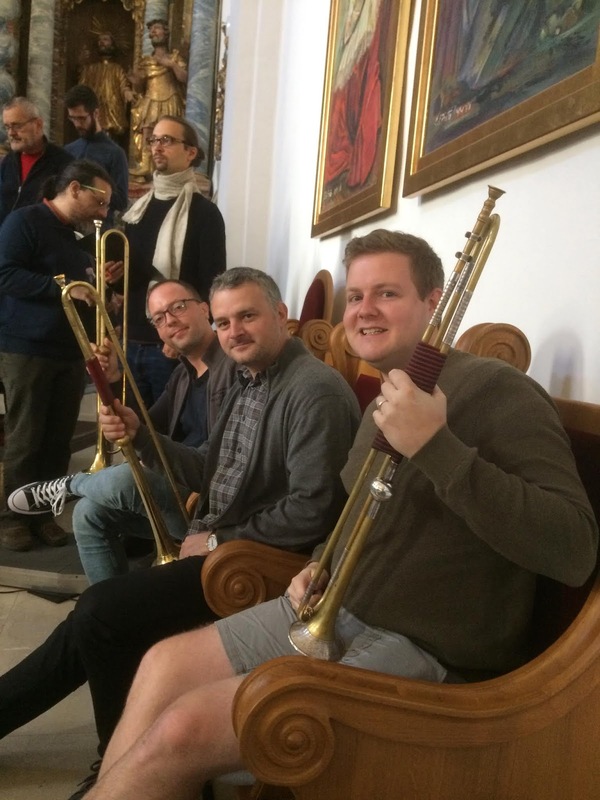 Krešimir (also known, for reasons unknown, as Curly) and I had met at Dartington International Summer School almost a decade ago when we had both been students on the Early Brass course led by David Staff. Curly took me into the centre of Zagreb and we had a leisurely afternoon exploring the city and meeting up with his wife for a coffee by the Music Academy. 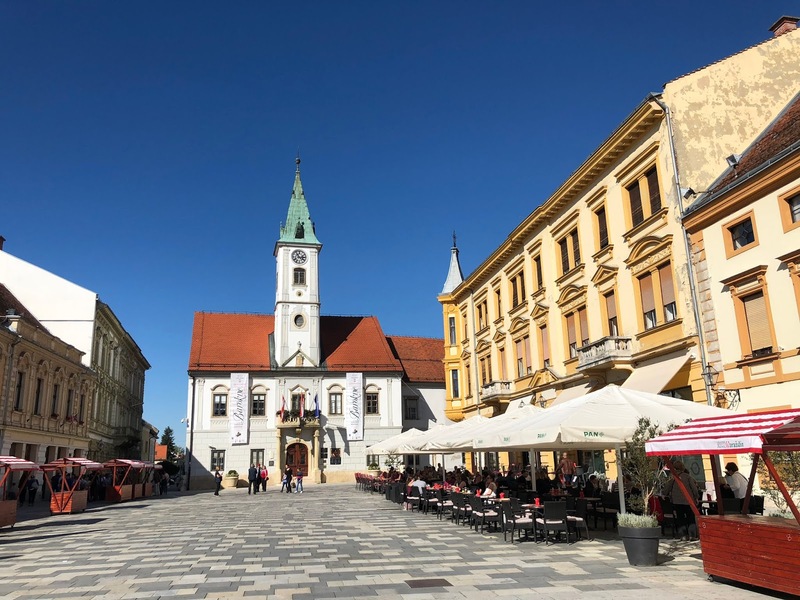 At around 5pm we convened with the members of the Croatian Baroque Ensemble outside the Vatroslav Lisinski Concert Hall to take the coach to Varaždin. I have actually been to Varaždin once before, playing at the Cathedral of the Assumption of the Virgin Mary and playing in this very festival - Varaždinske Barokne Večeri - Varaždin Baroque Evenings. Back in 2011 I played Tönet, ihr Pauken! Erschallet, Trompeten! [BWV 214], one of Bach’s secular cantatas, in a televised performance with the Wrocław Baroque Orchestra. 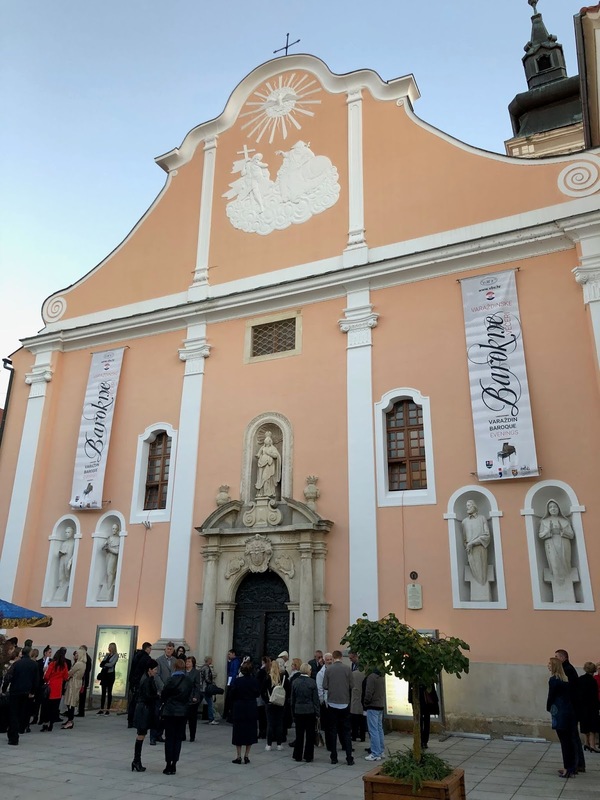 It was great to return in 2018 for the 48th Varaždin Baroque Evenings festival, this time with the Croatian Baroque Ensemble, to perform Bach’s B Minor Mass [BWV 232]. The performance took place on Saturday 29th of September 2018 at 19:00. 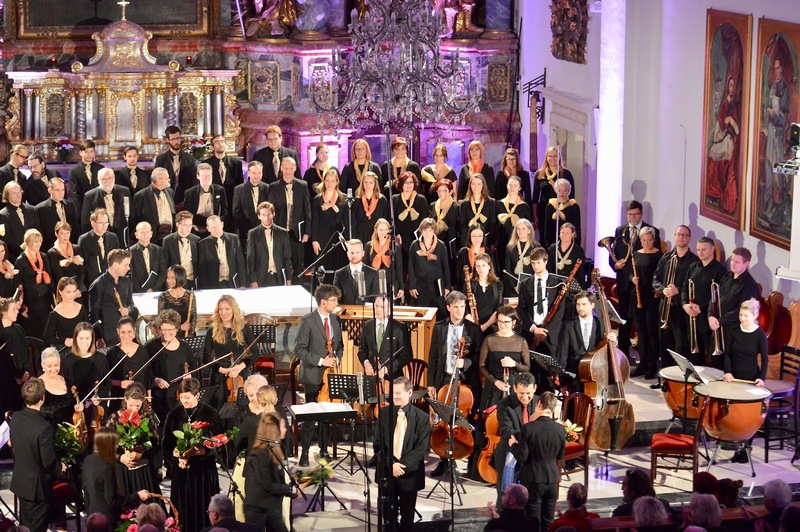 The performance was conducted by Anđelko Igrec and it featured the Croatian Baroque Ensemble, (led by baroque violinist Laura Vadjon) and two choirs: Chorus Angelicus from Varaždin (their chorusmaster was the conductor, Anđelko Igrec) and they were joined by additional singers from the Vienna-based Ensemble Koinonía (with their chorusmaster Johann Hausreither). The soloists were: Ivana Lazar (Soprano), Monika Cerovčec (Soprano), Sonja Runje (Alto), Hugo Hymas (Tenor) and David Greco (Baritone). I played alongside trumpeters Krešimir Fabijanić and Zvonimir Lazar. It was great to spend a few days in Croatia playing with the Croatian Baroque Ensemble (Hrvatski barokni ansambl, HRBA). I was very well looked after and had a great time - thanks to all involved!